Since internet activists led a successful effort to kill the Stop Online Piracy Act (SOPA) earlier this year, most legislators have been backing off of their prior support for the bill. 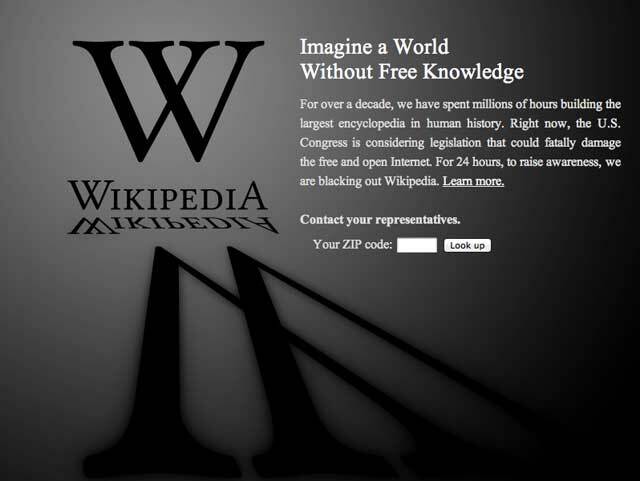 I’m sure you all remember your favorite websites (Google, Wikipedia, Reddit) engaging in a one-day blackout to protest the passage of the bill that would have given the government more power in policing the sharing of pirated material online. Most now agree that the bill went too far in trying to curb illegal sharing of copyrighted material, but there is one place where support for the bill still remains strong: Hollywood. There, two incumbent Democrats face off for one Congressional seat, and SOPA could be a difference-maker in the race. California’s newly-drawn congressional map pits two long-tenured California Democrats against each other. Democrat Rep. Brad Sherman has served the San Fernando Valley since 1997. Opposing him in the primary is Rep. Howard Berman, a well-respected Democrat who has served in Congress for nearly 30 years. California employs a run-off primary system, in which the two top vote-getters in the primary face each other in the general election, regardless of party affiliation. Even though there are others competing in the June primary, Berman and Sherman are the most well-funded and will likely face off in November. Having represented districts in close proximity to Los Angeles for so many years, both candidates have leaned on the Hollywood community to stock their campaign coffers. Berman, however, has a special relationship with the Hollywood community. In fact, people from the movie and television industries are the top contributors to his 2012 campaign, donating more than $300,000 so far. Sherman, on the other hand, has received only $22,000 from Hollywood. This discrepancy is currently playing itself out in the debate between Berman and Sherman over SOPA, a bill wholeheartedly endorsed by the Hollywood community. Berman was an original co-sponsor of the bill (which indicates the highest level of support), and, even though it has died, he continues to express his support for it. Sherman, while he did eventually sign on as a co-sponsor himself, has backed off of his original support, stating that he took the national uproar as an indication that the bill needed to be tweaked. Berman has repeatedly attacked Sherman for his change of heart, stating in a February debate: “I try not to sponsor or cosponsor a bill as a symbol of my support for a general position even though I think the language is stupid.” Sherman thinks the importance of the issue is overblown, responding that it is not even in the “top 25” issues he has heard from voters during the campaign. Supporters of the bill maintain that that current U.S. laws do not provide effective tools to target infringement on foreign websites. Recently, the Cyber Intelligence Sharing and Protection Act of 2011 was introduced, a bill that SOPA opponents have argued contains language vague enough to accomplish the same goals. Internet-freedom activists are currently parsing the bill’s language to determine whether or not to rise up in opposition. If it were a Hollywood-friendly bill, however, you can be sure that Berman’s name would be on it. As it currently stands, neither Berman nor Sherman has co-sponsored. Still, this race is in some ways a bellwether of Hollywood’s political power and influence. Sherman’s politics are actually more closely aligned with the new district, which is very liberal. Berman has taken several positions that more closely align with the right, especially on issues of national security. He wholeheartedly supported the invasion of Iraq (in 1991 and 2003), as well as the FISA Amendments of 2008, which expanded warrantless wiretapping of American citizens. Berman has kept his close ties with the Hollywood community through his vocal support of Israel and by being a champion for issues like SOPA. Even with Berman’s huge haul from the movie/TV industries, he still trails Sherman’s fundraising totals, indicating that his stance on SOPA may have cost him with the public, even though it helped him with Hollywood. Hollywood has always been a big player when it comes to political fundraising, but with SOPA, it has latched onto an issue that is at best controversial with the American public. Time will tell whether Berman’s close association with Hollywood will pay off and allow him to keep the job he has had for the last 30 years. I predict a close win for Berman for this simple reason: people who have been in Washington for as long as he has know what it takes to stay there.